Nice choice Andrew, I am sure the lucky lady got a big surprise on Thursday night. Congratulations to you both. 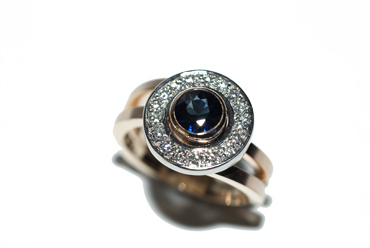 Made by hand, 9ct rose and white gold set with an Australian sapphire and diamonds. 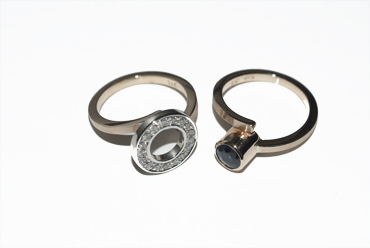 Two part ring. A special commission!